Behold, a king shall reign in righteousness, and princes shall rule in justice…. until the spirit be poured on us from on high, and the wilderness become a fruitful field, and the fruitful field be esteemed as a forest. Then justice shall dwell in the wilderness; andrighteousness shall abide in the fruitful field. And the work of the righteousness shall be peace; and the effect of righteousness,quietness and security forever. My people shall abide in a peaceable habitation, and in safe dwellings, and in undisturbed resting-places. Because in Genesis nothing is mentioned about the origin of Melchizedek - his pedigree is unknown; there is no mention of his birth nor of his death -one must assume that these things did not exist either. Taking such a position then naturally leads to all sorts of speculation, such as the assumption that Melchizedek was a supernatural being. To be sure, the apostle in his description follows the principle of the rabbis - without a father, without mother, without descent - but he does so only in imitation of the manner in which in Scripture is spoken about Melchizedek. He focuses exclusively on what is written about him: his position, his name, his dignity, and all that with the intention to be transparent towards whom Melchizedek prefigured, Elohim's Son.But the Son of God made ​​equal, he remains a priest perpetually... Thus the apostle wants to convey that everything stated by him in the first three verses of Melchizedek, suggests that he became the perfect type of the Messiah, Elohim's Son: The priest of primeval times complies fully with the priest of the End times, the Messianic era. To those who were initiated the god was revealed; to all else he was hidden. Now, the name Saturn in Chaldee is pronounced Satur; but, as every Chaldeescholar knows, consists only of four letters, thus--Stur. This name contains exactly the Apocalyptic number 666.
και οι μεν εκ των υιων λευι την ιερατειαν λαμβανοντες εντολην εχουσιν αποδεκατουν τον λαον κατα τον νομον , τουτ εστιν τους αδελφουςαυτων, καιπερ εξεληλυθοτας εκ της οσφυος Αβρααμ ∙ ο δε μη γενεαλογουμενος εξ αυτων δεδεκατωκεν Αβρααμ , και τον εχοντα τας επαγγελιαςευλογηκεν. The reasoning of the apostle is clear. 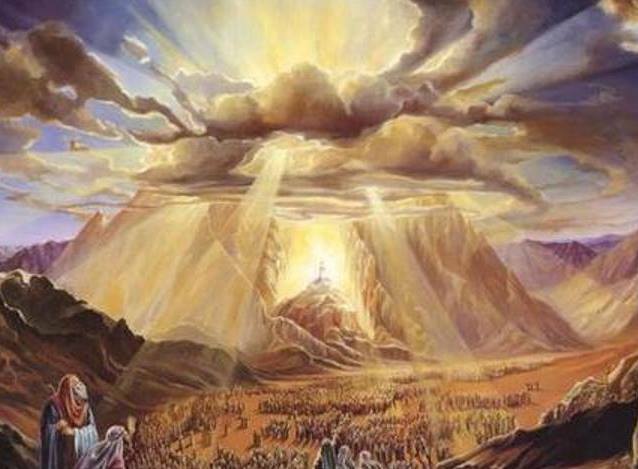 He's out to show up the greatness of Melchizedek, the king priest, above the priestly office that was exerted by the male descendants in Aaron’s lineage. Moreover, his arguments are irrefutable: Melchizedek appears to be greater than Abrahamand thus greater than Levi who came forth out of Abraham. 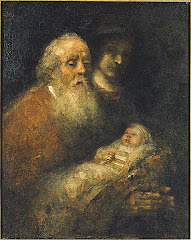 After all, on that memorable encounter Levi found oneself still in Abraham's loin, incidentally together with his brothers whom he may tithe according to a commandment of the Thorah. So, together with Abraham, Levi paid tithes to Melchizedek. For collecting tithes within the Levitical priesthood, see: Le 27:30-33 and Nu 18: 21-32.χωρις δε πασης αντιλογιας το ελαττον υπο του κρειττονος ευλογειται . και ωδε μεν δεκατας αποθνησκοντες ανθρωποι λαμβανουσιν, εκει δεμαρτυρουμενος οτι ζη. και ως επος ειπειν, δι Αβρααμ και Λευι ο δεκατας λαμβανων δεδεκατωται, ετι γαρ εν τη οσφυι του πατρος ην οτεσυνηντησεν αυτω μελχισεδεκ. To value the reasoning of the apostle we have to be familiar with a principle that God uses consistently at the basis of all his dealings with mankind,perhaps to describe the best with the term "covenant head”. Ει μεν ουν τελειωσις δια της Λευιτικης ιερωσυνης ην , ο λαος γαρ επ αυτης νενομοθετηται, τις ετι χρεια κατα την ταξιν Μελχισεδεκετερονανιστασθαι ιερεα και ου κατα την ταξιν Ααρων λεγεσθαι ; μετατιθεμενης γαρ της ιερωσυνης εξ αναγκης και νομου μεταθεσις γινεται . Now, however, he is trying their mettle even heavier in their willingness to remain with him in his line of reasoning: Will they humbly exhibit the readiness to accept the conclusions that logically must be drawn? 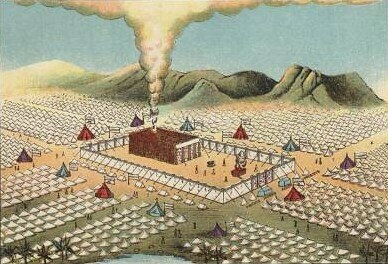 Deductions that encroaches so deeply in their religious experience, the Jewish lifestyle with the Thorah in the centre, but usually also stirred up by their respected rabbis, who also, in many cases, are particularly involved inmyths and endless Talmudic disputes, instead of diligence research of the divinely inspired Tanakh. The consequences are obviously very large and far-reaching for the believing Jew for whom the Thorah is everything. And here it is only a matter of a necessary change of Law, if there is a change in the priesthood. Next, in verse 18, the apostle will even allude to a setting aside [Greek:αθετησις; abolition; putting away]. Can a Thorah-loyal Jew deal mentally with a process like that? Sure, but only when he/she relies entirely on YHWH, Israel’s Elohim. In the first place because the priestly duties were exercised by imperfect men who themselves were sinful. Yes, with the whole Adamitic mankindthey were locked up together under sin (Ga 3:21-25). εφ ον γαρ λεγεται ταυτα φυλης ετερας μετεσχηκεν, αφ ης ουδεις προσεσχηκεν τω θυσιαστηριω∙ προδηλον γαρ οτι εξ Ιουδα ανατεταλκεν οκυριος ημων, εις ην φυλην περι ιερεων ουδεν Μωυσης ελαλησεν. The apostle is still giving thought to the genealogical argument in order to emphasize the heterologousness of the new priesthood and the need for "change" of Law, which things are closely connected. Psalm 110 'demanded' to its content such change (adaptation). The new high priest would be the Messiah himself who once came from the tribe of Judah, as stipulated in Jacob's deathbed prophecy: The sceptre will not depart from Judah, nor the ruler’s staff from between his feet, until Shiloh comes and to him will belong the obedience of the peoples (Ge 49:10). See also Mi 5:2 andMt 2:1-6.
αθετησις μεν γαρ γινεται προαγουσης εντολης δια το αυτης ασθενες και ανωφελες , ουδεν γαρ ετελειωσεν ο νομος, επεισαγωγη δε κρειττονοςελπιδος, δι ης εγγιζομεν τω θεω. Και καθ οσον ου χωρις ορκωμοσιας, οι μεν γαρ χωρις ορκωμοσιας εισιν ιερεις γεγονοτες, ο δε μετα ορκωμοσιας δια του λεγοντος προς αυτον , Ωμοσεν κυριος, και ου μεταμεληθησεται, Συ ιερευς εις τον αιωνα, κατα τοσουτο [και] κρειττονος διαθηκης γεγονεν εγγυος Ιησους. The priesthood of the Aaronites was temporary and could be revoked, but the Messianic priesthood is permanent.And as far as not without sworn oath ... to the extent that Yeshua also became Surety of a better covenant. και οι μεν πλειονες εισιν γεγονοτες ιερεις δια το θανατω κωλυεσθαι παραμενειν∙ ο δε δια το μενειν αυτον εις τον αιωνα απαραβατον εχει τηνιερωσυνην∙ οθεν και σωζειν εις το παντελες δυναται τους προσερχομενους δι αυτου τω θεω, παντοτε ζων εις το εντυγχανειν υπερ αυτων. The verb εντυγχανω has the value to apply to someone [with a request or petition], but here and elsewhere to intervene, or: interceding;pleading [for someone]. Τοιουτος γαρ ημιν και επρεπεν αρχιερευς, οσιος, ακακος, αμιαντος, κεχωρισμενος απο των αμαρτωλων, και υψηλοτερος των ουρανωνγενομενος∙ ος ουκ εχει καθ ημεραν αναγκην, ωσπερ οι αρχιερεις, προτερον υπερ των ιδιων αμαρτιων θυσιας αναφερειν, επειτα των του λαου∙τουτο γαρ εποιησεν εφαπαξ εαυτον ανενεγκας. ο νομος γαρ ανθρωπους καθιστησιν αρχιερεις εχοντας ασθενειαν, ο λογος δε της ορκωμοσιας της μετα τον νομον υιον εις τον αιωνατετελειωμενον. Κεφαλαιον δε επι τοις λεγομενοις, τοιουτον εχομεν αρχιερεα, ος εκαθισεν εν δεξια του θρονου της μεγαλωσυνης εν τοις ουρανοις, των αγιωνλειτουργος και της σκηνης της αληθινης, ην επηξεν ο κυριος ουκ ανθρωπος. πας γαρ αρχιερευς εις το προσφερειν δωρα τε και θυσιαςκαθισταται∙ οθεν αναγκαιον εχειν τι και τουτον ο προσενεγκη. But in real terms that means that a whole new scheme had to be made in behalf of that transaction. There could be no real recovery on the basis ofthe Old (legislative) Covenant, Elohim's original marriage covenant with Israel. 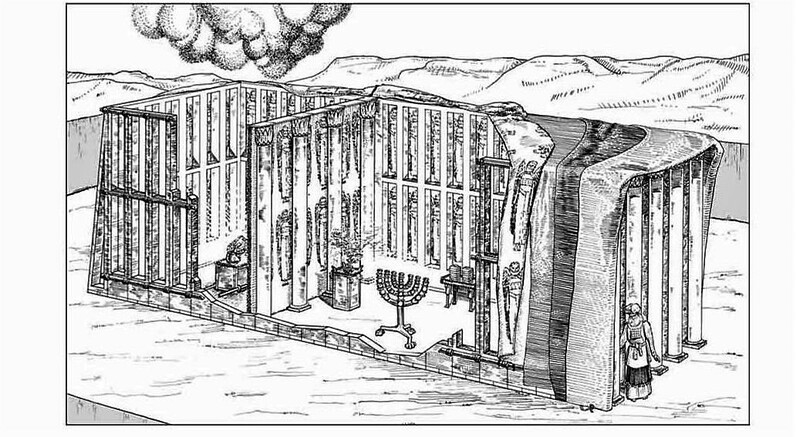 It is not mentioned in Genesis 14 that king Melchizedek had a temple in Salem where he also served as a priest of the Most High God. Nothing of that kind can therefore linked to Melchizedek and used as a shadow or type. For types of that kind we have to look at the service of the Aaronic priesthood. The greater Melchizedek therefore serves as high priest in the antitype of the Tabernacle, the true Tent. 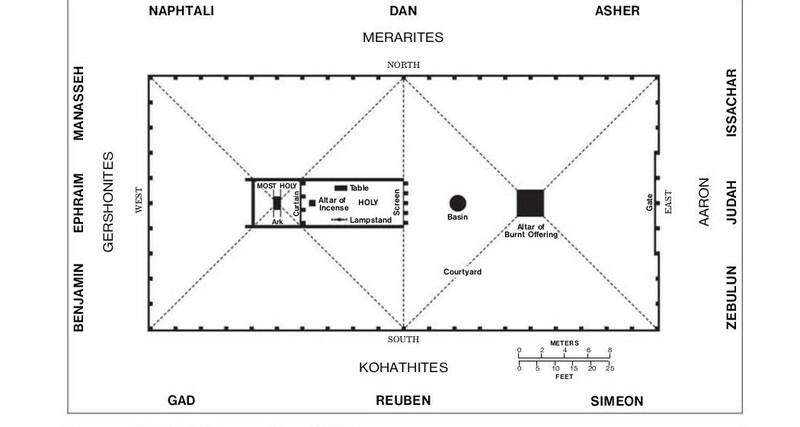 At the same time, the absence of some kind of shrine in the case of Melchizedek indicates again that king-priest Yeshua is not dependent on a physical sanctuary. 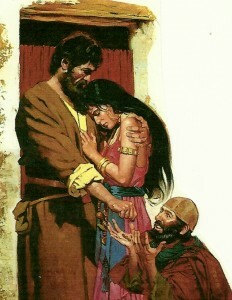 Previously saying, “Sacrifices and offerings and whole burnt offerings and sacrifices for sin you didn’t desire, neither had pleasure in them” (those which are offered according to the Law), then he has said, “Behold, I have come to do your will.” He takes away thefirst, that he may establish the second. Curtain, the veil that separated the two Tent parts, is the English rendering of the Greek word καταπετασμα, equivalent for the Hebrew word פרכת (paroketh, Ex26:31). The numerical value (NV) is 700 (80+200+20+400) and that value appears to be prominently related to the propitiatory sacrifice of Messiah Yeshua. 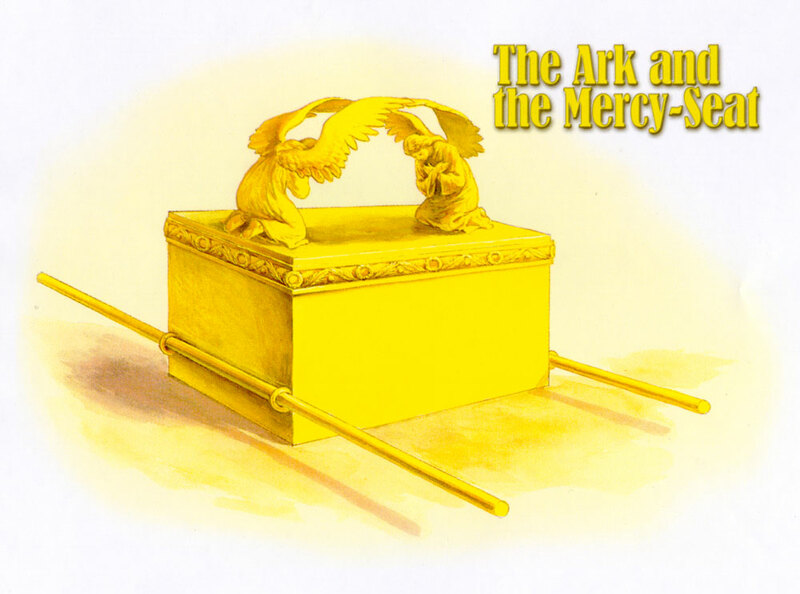 Leviticus 16:14-15 indicates what the high priest on Yom Kippur did with the blood of the animal sacrifices: A part of it he had to sprinkle on the kappooreth(mercy-seat), and a part seven times before the kappooreth (mercy-seat). οιτινες υποδειγματι και σκια λατρευουσιν των επουρανιων, καθως κεχρηματισται Μωυσης μελλων επιτελειν τηνσκηνην, Ορα γαρ, φησιν, ποιησεις παντα κατα τον τυπον τον δειχθεντα σοι εν τω ορει. 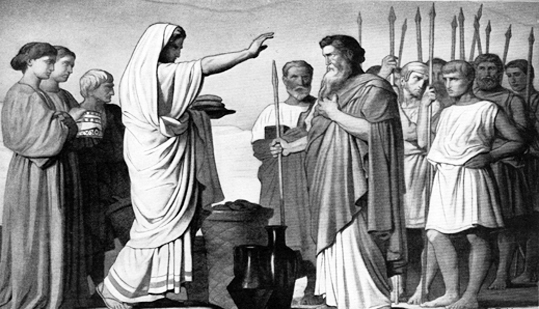 In our letter the author has used λατρευω as well as λειτουργεω [perform public service] to describe the exercise of the priesthood service, butλατρευω never in connection with the service of Messiah Yeshua. For that, he used exclusively λειτουργεω, obviously because by that verb something of the enduring, of the comprehensive of his messianic service as High priest is expressed. First, because the Greek text does not allow such an explanation. Kαγω ημελησα αυτων has the value of I did not bother about them.